Sign up for our mailing list to be notified of future public concerts and special events. 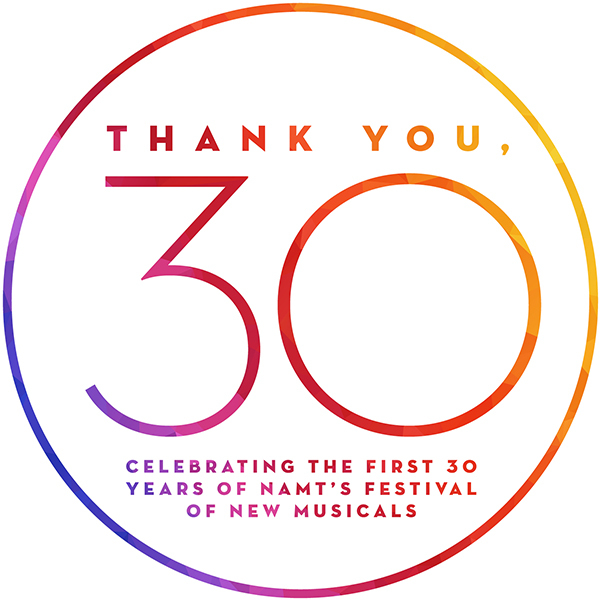 Our Gala honorees have each made significant impacts to the musical theater landscape. Marleen & Kenny Alhadeff are dedicated and eloquent ambassadors for the musical theatre field and wonderfully generous supporters of new musical development. 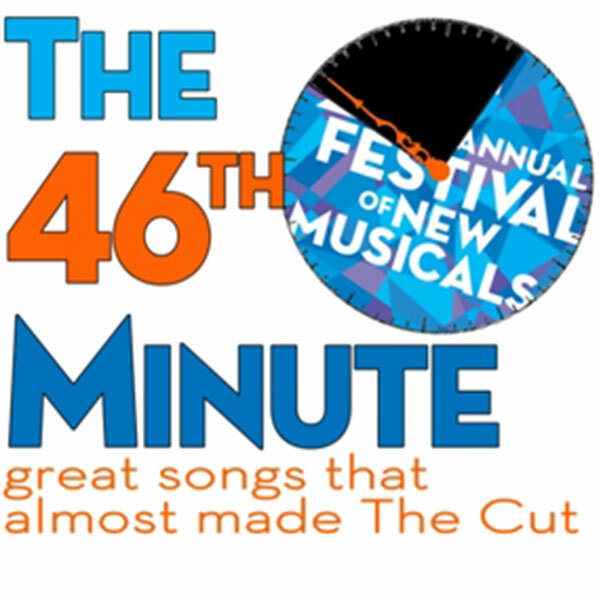 NAMT’s Festival of New Musicals has proudly called New World Stages home for the last 15 years and they also are the home of Tony Award-winning, Guinness World Record-setting and Pulitzer Prize-earning shows. It’s been 10 years since The Drowsy Chaperone (Fest ’04) concluded its successful Broadway run, and Man in Chair is back to celebrate! 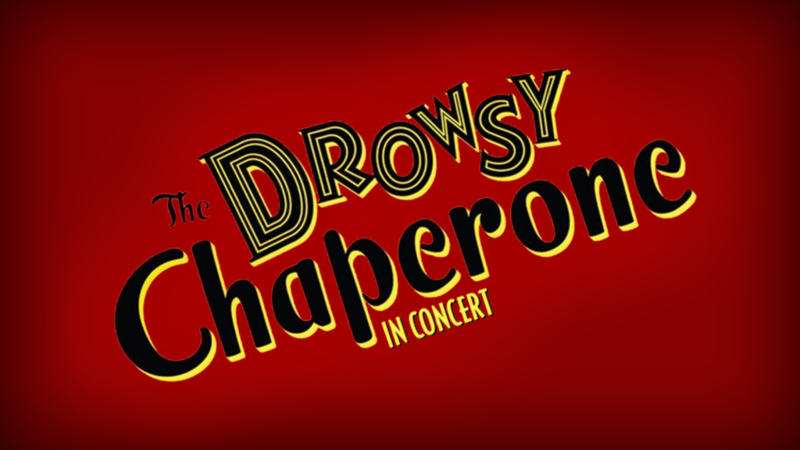 The Drowsy Chaperone cast and creative team reunited for a one-night-only reunion concert to benefit NAMT. 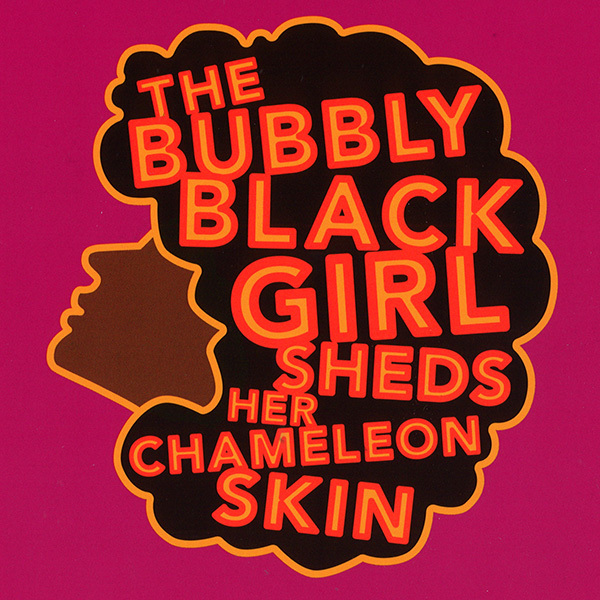 NAMT’s guests attended a special concert presentation of this 1998 Festival show, plus a pre-show reception and talk with writer Kirsten Childs. 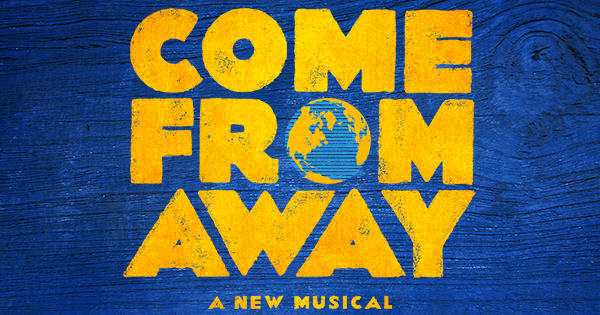 Celebrate the arrival on Broadway of Come From Away (Fest ’13), by Irene Sankoff and David Hein! 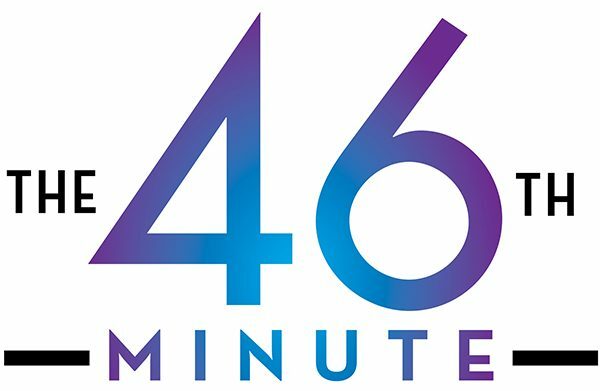 Join us on Thursday, March 2 for a preview performance at the Schoenfeld Theatre, followed by a reception with members of the cast and creative team. This year’s writers will share some amazing songs from their shows that will NOT be heard at the Festival. 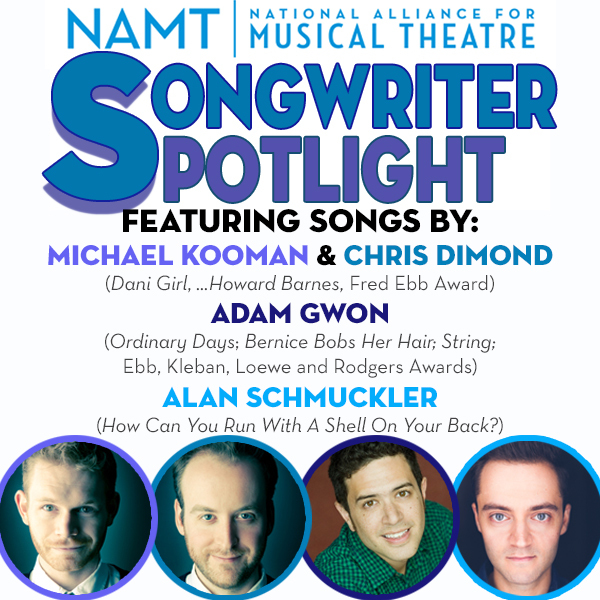 Join us on March 30 as we turn the spotlight on four more of our Festival alumni: Adam Gwon, Michael Kooman & Chris Dimond, and Alan Schmuckler. This year’s writers shared some of the amazing songs NOT heard at the Festival. 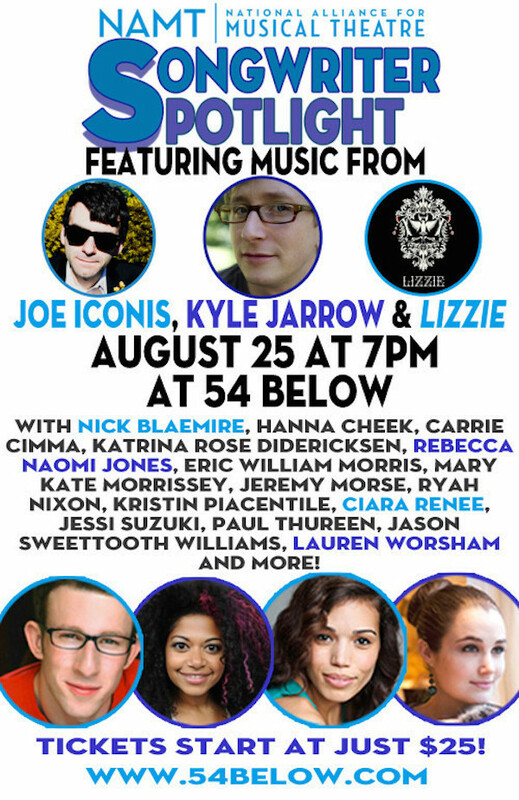 Featuring music from Rock Musicals by Joe Iconis, Kyle Jarrow, and from the writers of Lizzie. 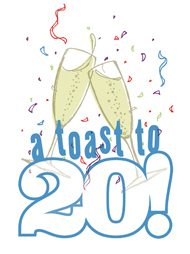 On April 28, 2014 Barbara Anselmi & Brian Hargrove (It Shoulda Been You, Fest ’09), Paul Gordon (Jane Austen’s Emma, Fest ’06; Analog and Vinyl, Fest ’13), and Ben Clark (The Circus in Winter, Fest ’12) shared songs from their NAMT Festival shows. 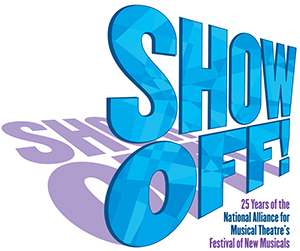 Featuring songs from past Festival shows you already love and shows you are going to love, this once-in-a-quarter-century benefit concert celebrated 25 years of the NAMT Festival of New Musicals. 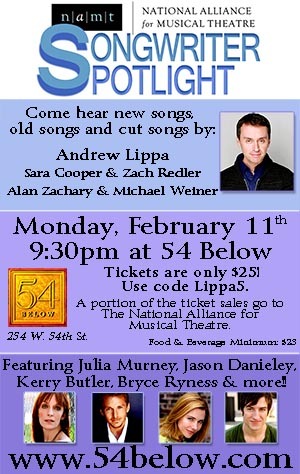 On February 11, 2013 Andrew Lippa (Big Fish, The Addams Family, The Wild Party, John & Jen), Alan Zachary & Michael Weiner (First Date, Secondhand Lions), and Sara Cooper & Zachary Redler (The Memory Show) shared songs from their NAMT Festival shows. 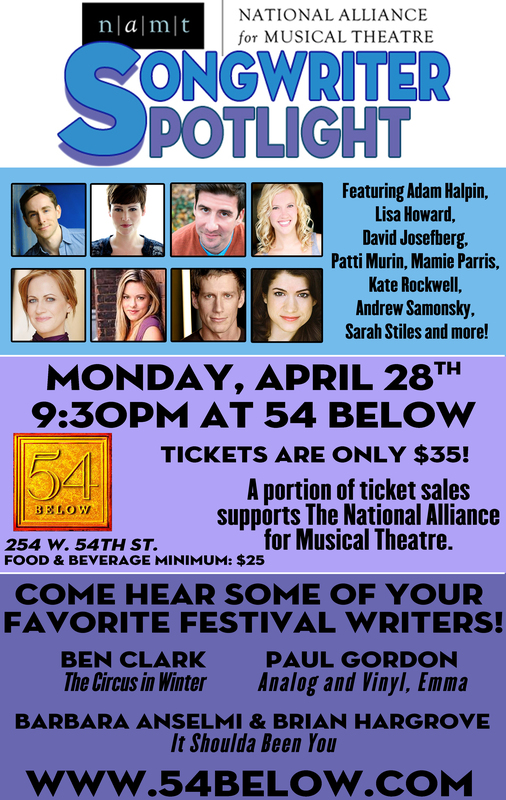 On September 7th, 2009 we presented our first NAMT Songwriter Spotlight, at Jim Caruso’s Broadway at Birdland in New York City.